Became notable for her single "Love Me Like You Mean It," which rose to a Top 30 position on the U.S. Country Chart. 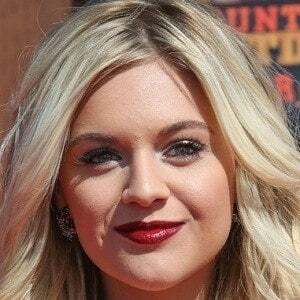 She was named one of Country Music Television's Next Women of Country in 2014. She began writing songs in her early teens and, by the age of nineteen, was under contract with Black River Entertainment. Her debut album, The First Time, was released in May 2015. The album went gold in the US. She spent her first thirteen years in Knoxville, Tennessee and the remainder of her youth in Nashville. In 2016, she got engaged to Morgan Evans and they tied the knot in December of 2017. She's cited Shania Twain as a major influence in her music career.